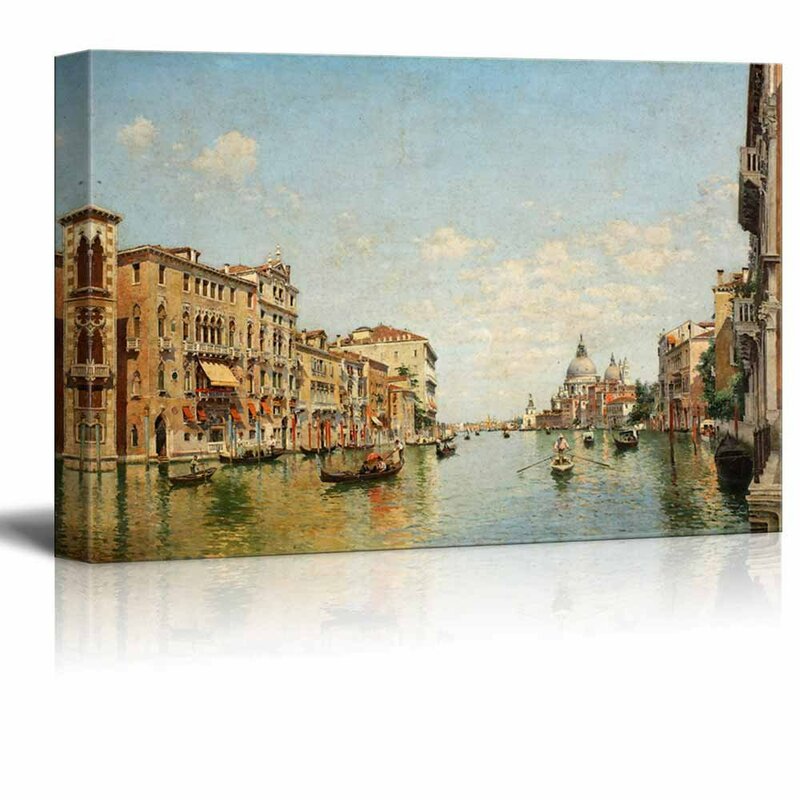 wall26 - View of The Grand Canal of Venice by Federico del Campo - Canvas Print Wall Art Famous Painting Reproduction - 24" x 36"
The picture looks exactly as shown. Nice colors and depth. When you turn the picture over and look at framing, you can tell this is not an expensive piece but ha mm ginger on the wall, it looks great, especially for the price. The first one we received was damaged so we sent it back and the seller quickly refunded our money and we purchased a replacement. Arrived quickly and looks great above our fire place.